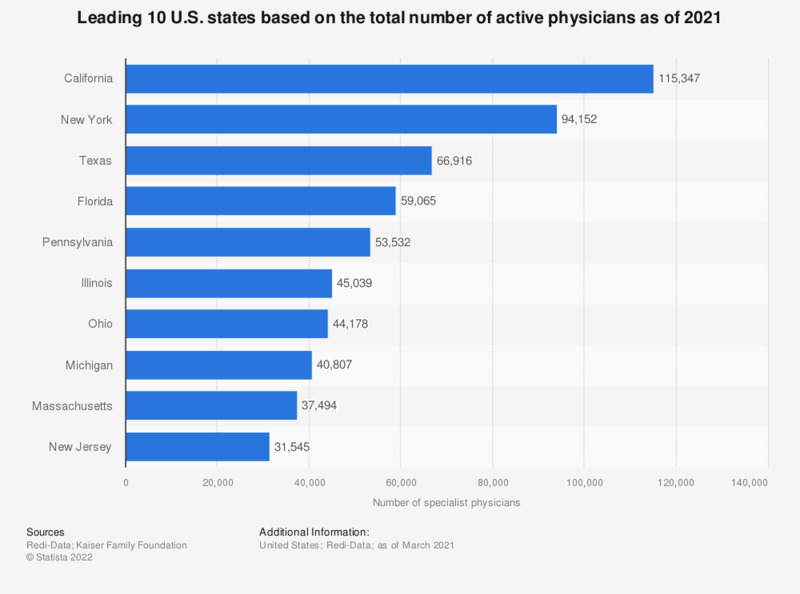 This statistic depicts the leading 10 U.S. states based on total number of active physicians, as of March 2018. At this point, California was the U.S. state with the highest number, reporting nearly 109,000 active physicians in total. Data includes currently active allopathic physicians (MDs) and osteopathic physicians (DOs).